All jobs must originate from the following as we stay focused on specialty services: Water, Flood, Fire, or Mold damage. As a specialty contractor we can focus on industry leading techniques and state of the art equipment for structure drying, odor removal, and abatement. We are an IICRC Certified Firm and also a Preferred contractor for all major insurance carriers. Note: IICRC is the approved international body for writing protocol and technical data to insure restoration is done with a set of standards. All HVL residence that mention this ad will receive a 5 % discount and all HVL resident veterans will receive a 10% discount on all services. A place to call Home is the largest finical transaction most will ever make. Let us help to make that transaction the most pleasant experience possible. Whether you are buying your first Home or downsizing. I will take the time to answer your questions, so you do not feel pressured. Helping you find the perfect house to call Home. The Best Reward is seeing clients faces when we show them “the one” that becomes their new Home. We are a local company that strive for success and quality work. 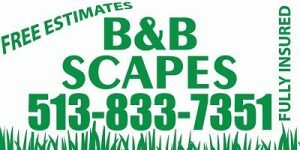 Give the boys from B&B Scapes a call today for a free estimate. We are a family owned, operated, and local HVAC company. We’ve been in business since 1993. We are a very honest company. We are there to fix whatever needs fixed, not to sell you something you don’t need. We would rather have a customer for life vs sell something that’s not needed. We have three boys we hope one day will help with our business.